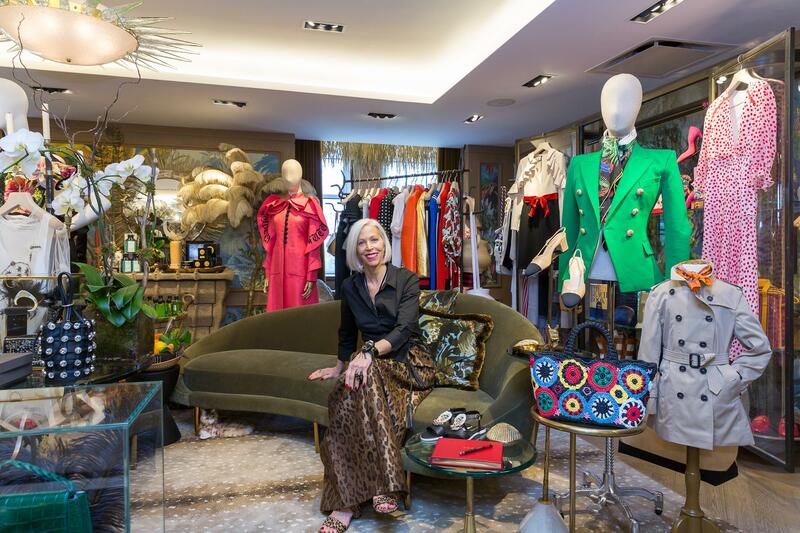 Last week Linda Fargo, Bergdorf Goodman’s much-loved senior vice president of the fashion office and the director of women ‘s fashion and store presentation, opened her own shop-in-shop called Linda’s at Bergdorf Goodman. The new store features items reflective of Fargo’s personal tastes—she’s often featured on street style blogs and beyond for her personal style—and will feature an ever-changing array of her favorite obsessions du moment. Upon opening last week, that meant everything from Gucci’s eccentric and fabulous pepto pink cloak from the Spring 2017 runway to cool vintage finds, exclusive collabs, her international travel finds (can’t wait! ), to decorative home items and art. Below, Fargo fills us in on what it’s like to have her own signature style highlighted in one of fashion’s most iconic retail establishments. Congrats on the new digs! What’s it like finally having your own shop in Bergdorf’s? Surreal! Out of body! Disbelief! Dream come true! People are always asking me about what I’m wearing to the point that Bergdorf’s asked me to put all my favorite things, without limits, all in one fantasy “Linda’s Closet”. What was the most fun part of setting it up? I’ve played many roles in retail in a 30+ year career…window director, store and interior design director, fashion director, but I’ve never been a shopgirl! I love being on the floor for hours at a time, watching people touch all of my edits, talk about fashion and love and exercise and just about everything in between. It’s like joining a secret girls shopping club. I only wish I had installed lockable front doors so we could turn the music up and run around in our lingerie when the shopping really gets going! Was it difficult to narrow down what you were going to include? Yes and no. I decide that the metric I would use to decide what made it into the shop wasn’t going to be price, design name, friendships, or even discipline. It was only going to be things I loved, not things I merely liked. I wanted to cover all the senses…taste, smell, touch, feel, look. What I didn’t want was the usual suspects. Would we find any of these items in your own closet?